This one you have to see. Large brick ranch with large rooms but also a full unfinished basement and large garage under the home. Situated on a hill overlooking a neighboring farm and the Brushy Creek, you can enjoy the view and the wildlife. Extra large kitchen could be converted easily into an eat in kitchen and the dining room could become a good sized family room. The living room sports a cathedral ceiling, wood floors, a fireplace that currently has an insert, and large windows overlooking Brushy Creek. A very pretty view. There is a den that has a closet and could be used as a fifth bedroom. Master bedroom bath has been upgraded with tile and granite. 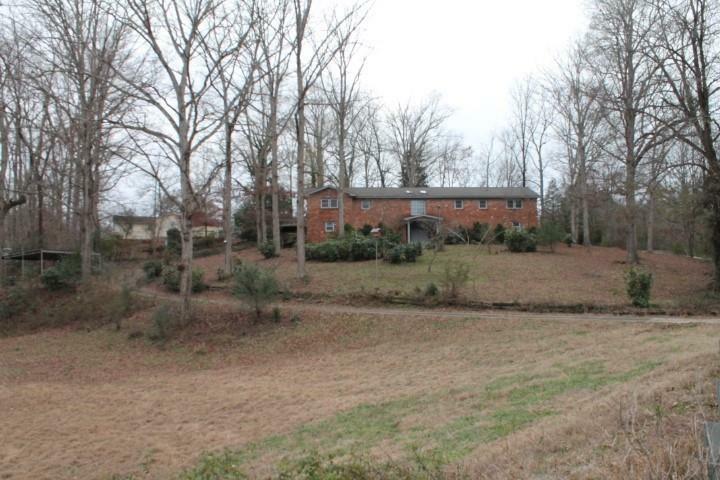 This home is so close to Greenville but gives you the feel that you live way out in the country. Perfect for someone who needs a hobby or business in this large basement which even has its own formal entrance on the basement level. Partially finished bathroom in the garage vicinity where the laundry is also located. Convenient circular driveway can park a lot of company.